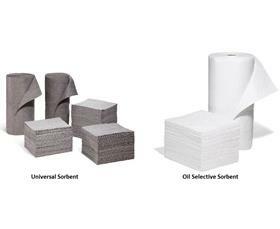 Budget friendly basic sorbent pads and rolls. Perfect for general application and dimpled material provides quick wicking power and economy all in one. Universal sorbents used for both water and oil based liquids. Dimples add fast wicking power. 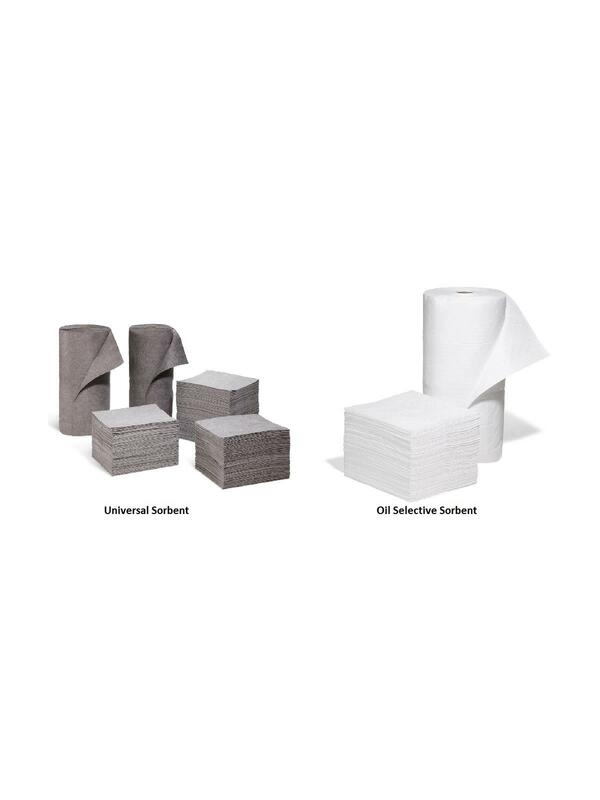 Perforations allow you to use just what you need. Pads perforated at 7-1/2" up the center and rolls are perforated at 7-1/2" vertically and 17" horizontally. FOB Shipping Point.